Samsung has already released two new Galaxy A series smartphones earlier this year, the Galaxy A8 and A8+ (2018). 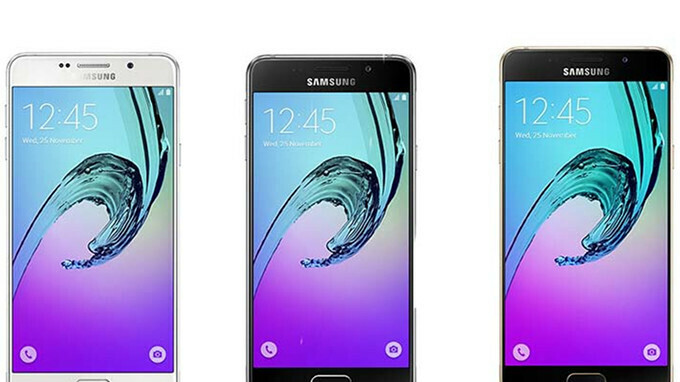 However, two additional handsets will be introduced in the coming months – the Galaxy A6 and A6+ (2018). These two smartphones have already received their Bluetooth certifications not long ago, which is why we know they will ship with Android 8.0 Oreo on board. Moreover, a benchmark listing for the Galaxy A6 (2018) shed light on what the phone has to offer in terms of specs. The cheapest of the two, the Galaxy A6 (2018) is likely to pack an Exynos 7870 processor, 3GB RAM and 32GB expandable storage. The beefed up model, the Galaxy A6+ (2018) will be equipped with a Qualcomm Snapdragon 625 processor and 4GB RAM instead. Unfortunately, neither will make it to the United States, although Samsung is expected to launch both Galaxy A series phones in Europe and the Middle East. We have yet to learn when they are supposed to hit the store shelves, but it shouldn't be long now. Price it right Samsung or else people wouldn't even care for such phones. And please give them monthly security updates as A8+(2018) is only getting quarterly updates and those C9/C7 pro users are totally out of your update list. SD 625, on a possibly $350+ phone, in 2018?? Samsung doesn't seem to learn the right lessons from the Chinese brands. You might be having multiple org@sms after reading this news. Can't say that I'm surprised. They haven't ever released any A series phones in recent years in the US. I'm not opposed to buying an international version again, it just depends on the size of these and if it reviews well.